John Lennon, never before seen works of his famous doodles, and the young musician who inspired them by knocking on his NYC front door. Today TGNR shares an incredible story about John Lennon, an exclusive TGNR release of never-before-seen work of his famous autobiographical doodling, and the determined young musician who inspired the drawings. It is a warm story on this very bitter anniversary. TGNR was approached by a perennial follower of the site, a musician, who had a remarkable story about a singular inspiring exchange with his musical icon John Lennon. Through his story we take a peak into one of the greats of rock and roll, the man behind the legend, and some pieces of his famous doodles never before shown to the public. On a gentle Sunday fall afternoon in 1976, James (name changed for privacy) was on the corner of 72nd and Central Park West in Manhattan. It is the address of the legendary residence known as the Dakota. 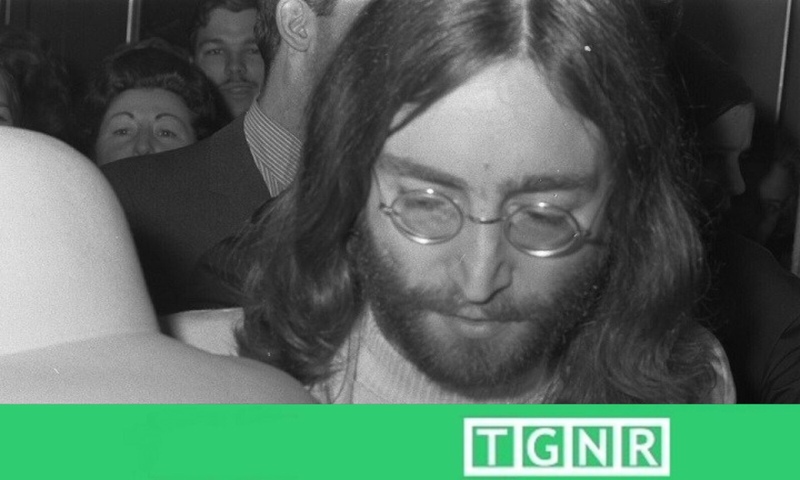 This young gentleman had but one goal that afternoon: to meet John Lennon. The former Beatles star called the Dakota his New York City home during the final years of his life. When this high spirited and ambitious young man approached the Dakota gates, he encountered the doorman. When asked if he could meet John Lennon, the doorman very politely responded that Mr. Lennon wasn’t home, but that he could deliver him a message. “In Central Park headed west, on a Sunday afternoon. I did all I could to get my message through. Through all the years I had to wait, now I couldn’t get past your gate. But it’s alright I guess, I’m just one to reminisce. And we didn’t have a care, but now you’re a millionaire. And we’re waiting outside at Central Park West. For a young musician reaching out to one his great musical idols, and a figure who revolutionized music itself, it was a watershed moment. For any one person who aspires to greatness in their field, none could have been as touching and meaningful than a music maker creating a personal connection with the legendary Beatle. One can only imagine the effect that would have in their own life and ambitions. James was kind enough to invite us to share his incredible story, and take photos of the doodles he received. During the period between 1975 and 1980, John Lennon had entered a period of retirement. He and his wife Yoko Ono had dedicated this time to focus on raising John’s second son, Sean. Lennon did little song writing during this time, though it was a period that generated many of his autobiographical doodles. It was also during this time that John was able to communicate with his fans unlike any previous time in his career. Though the story does not originate in this period, Al Pacino’s “Danny Collins” (2015) focuses on another instance of Lennon’s personal encouragement of fans. The film was based on the story of Steve Tilston, an aging British folk musician who in 2005 found an unread letter written to him by Lennon some four decades previous. The contents of the letter encouraged Tilston to resume his songwriting. Moreover, Lennon’s letter motivates Tilston to reassemble his life and further pursue his career in music. John Lennon is a legend for many reasons. Like any great legend, he means something a little different to every person. Like any larger than life figure, it is never easy to parse the legend from the realistic personal aspects of their manner. As such, John Lennon’s immense legacy can sometimes obscure the nature of the man to the outside world. This example of his thoughtful reply to an ambitious and creative young artist does speak to the man behind the figure, and one must “draw” their own conclusions. Mr. Lennon certainly did.